Blair Waldorf is the lead character of the hit the novel, as well as the TV series and manga adaptation of Gossip Girl. She is a socialite and overachiever who has both sensitive and snobbish sides. Because of her position as the queen bee of the Manhattan social scene, her actions and relationships are constantly subjected to scrutiny by a mysterious blogger known only as Gossip Girl. Creator Cecily von Ziegesar described her as a girl of extremes. Blair Waldorf was portrayed by actress Leighton Meester. If you are a fan of Gossip Girl, particularly of Blair Waldorf, you will certainly love reading and sharing these inspirational quotes to your friends, family and loved ones. If you go back with an uncertain heart, there will be drama and disaster for all. If you really want something, you don’t stop for anyone or anything until you get it. I’m not a stop along the way. I’m a destination. Destiny is for losers. It’s just a stupid excuse to wait for things to happen instead of making them happen. Just because we can’t be together doesn’t mean I don’t love you. He ended up treating me like something he owned instead of something he earned. Feelings never do make sense. They get you all confused. Then they drive you around for hours before they drop you right back where you started. When and if we end up together, it has to be as equals. Have a little faith, and if that doesn’t work, have a lot of mimosas. 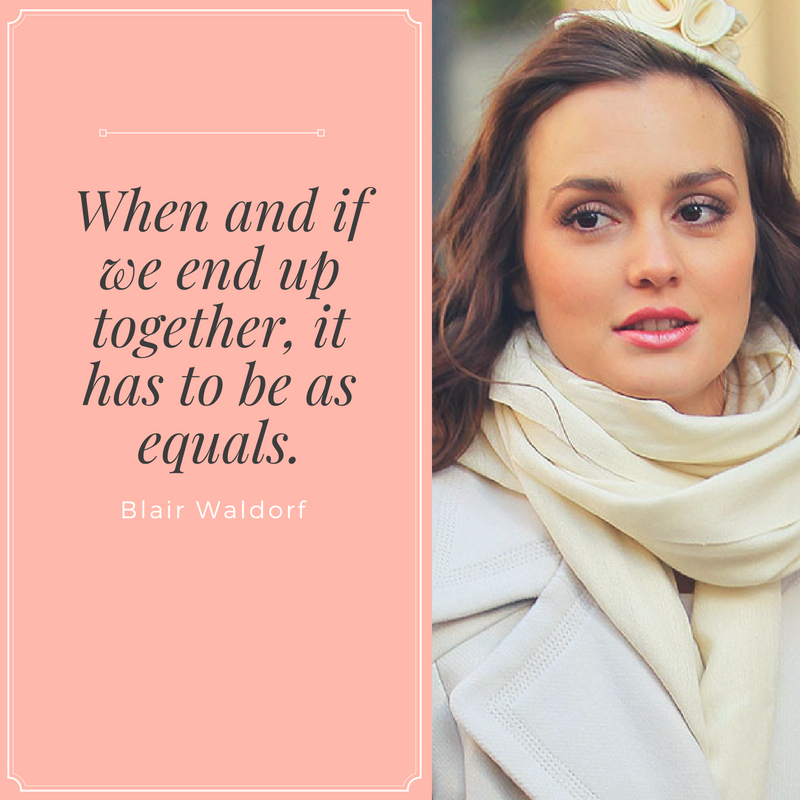 Are you a fan of Blair Waldorf from the hit TV series Gossip Girl? Here are some of her famous dialogues that will certainly make your day.